Why are Baronnet Apartments considered the best Surfers Paradise accommodation? A couple of reasons spring to mind. Number one, Baronnet Apartments are so close to the beach. Fifty metres from the front door of your holiday resort to the silky white sands of the beach on Northcliffe Terrace. We’re also pretty close to Cavill Mall. Not really close, or right in the centre of Cavill Mall like some resorts. You wouldn’t like that at all. At six blocks away you can enjoy the calm and serenity of our Enderley Avenue location. Especially the little tropical oasis we have by way of the outdoor entertainment area, with the cute heated pool and spa with undercover dining and BBQ alongside the pool. It’s the perfect place to chill with a good book and cold drink while kicking back on a sunlounger. Use our superb location in Surfers as your hub to the rest of the Gold Coast. You can lockup your car in our secure car park and use the G:Link, the Gold Coast’s public transit system; whether it’s on the bus, light rail or tram will take you to most destinations with the least amount of fuss, or hassle. The nearest G:Link station is Northcliffe, just a block away on Surfers Paradise Boulevard. So whether you want to head to Main Beach, visit Southport, do some serious shopping in Broadbeach, go to a show at The Star Casino, or visit the Gold Coast Exhibition and Convention Centre, it’s really easy. The last reason, but by no means the least is the affordable luxury we provide. Our fully self contained one and two bedroom apartments are perfect for the weekend escapes for couples or families. They offer excellent coastal views, and all the mod cons you’d expect in a modern Surfers Paradise resort; free wi-fi, Foxtel on big flatscreen televisions, air con and a fully featured kitchen. What more could you want? 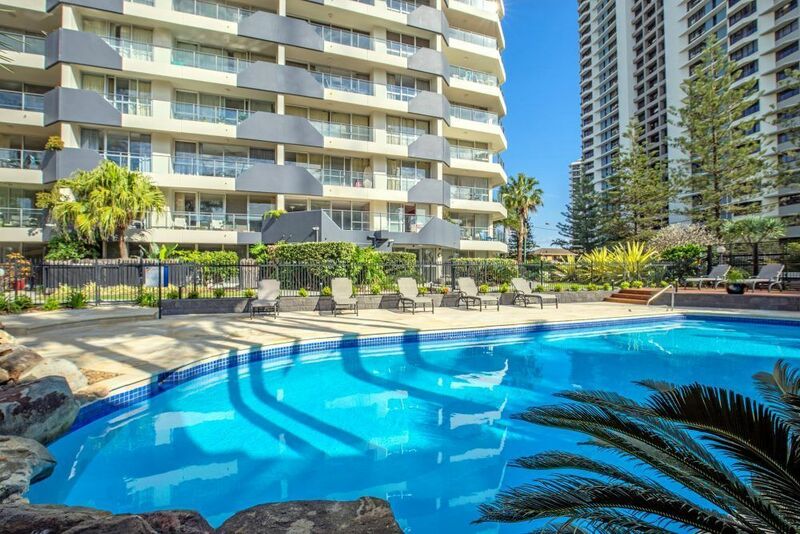 Come book your Gold Coast holiday at the Baronnet Apartments, the best Surfers Paradise accommodation. You can count on it.